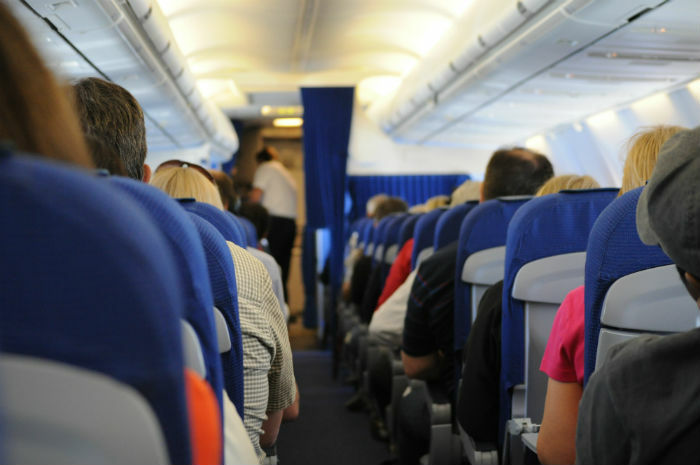 We all know that when we fly to and from our holiday destinations some of these flights can be popular and very busy, most of us are, also, fully aware that our personal space is precious and will be limited and will appreciate and respect that everyone is in the same situation. With so many people in a small area it is a fore gone conclusion that the odd person or persons will have the "I don't care attitude" and will selfishly act in a manner that will annoy anyone who is unlucky enough to be seated in the same vicinity as them, these are the people who quite frankly couldn't care less about anyone else apart from themselves. I would like to think we all have some decency and respect for our fellow travellers and we all have tolerance to some degree and especially sympathise when the small child, who cannot understand why their ears hurt and is crying because they are in pain. What annoys me the most are the inconsiderate passengers, especially the adults who are in charge of their offspring and allow their unruly children to treat the aircraft as a play area with no discipline whatsoever. In particular i am referring to the two young girls who were sat in front of us on a recent flight back from the Canaries, where for the whole of the four and a half hour flight proceeded to bounce around on their seats trying to dance, sing out of tune songs on top note and play noisy games on their electronic device. As you can appreciate being sat directly at the back of them it got ever so slightly on our nerves where four and a half hours seemed like an eternity. So, where was the parent or adult who was so called responsible for these two selfish brats, Grandma was sat right next to them on the aisle street doing nothing whatsoever to keep these girls in check, and, knowing full well just how much they were annoying everyone. It would not have surprised me of they hadn't fed them a whole array of "E" numbers and food additives prior to boarding the plane. I could have, politely, approached Grandma and asked her to calm the two girls down, but looking at dear grandmama reminded me of a type character that would have appeared in the TV series "Shameless" and more than likely I would have got a whole load of verbal abuse, so I had no choice but to endure the torment and have the flight from hell. When the flight had landed I found out that it was a rather large party and they all looked like the whole cast of "Shameless", who were returning home from their family holiday (thank god they were not in our hotel), then I wondered, as it wasn't Half-Term so why were the kids not in School? But I guess that's a different argument. So, when it comes to dealing with these inconsiderates is there a solution to this problem? Maybe the flight attendants could do more to prevent these situations from occurring? Maybe have a quiet word with the adults would have sufficed, maybe the seating arrangements could be arranged better, keeping the families and the noise that comes with them at one end of the plane and the passengers, like us, who prefer our flights to have a more quieter/calmer atmosphere at the other end, I'm sure I'm in this day and age with all our wonderful technology it could be possible to arrange. The only other alternative is for stricter rules on these flights and made sure that they are enforced.